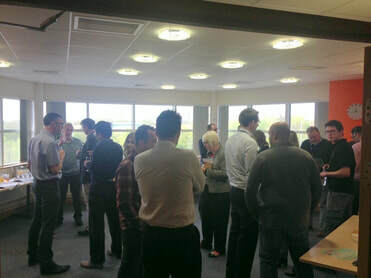 These informal events are all about meeting fellow i-brand tenants, gain an outside perspective of what they do and generally have a chat over a sandwich and a brew. Get to know them, think about how you could do business or help each other, and enjoy the process. We all love working for ourselves… but wouldn’t it be great to work with some people around you for a change? Get out of the office, work with some businesses around you, share ideas if you like. It’s for freelancers, sole traders and simply anyone who works from home or in an office on their own. Although it seems like yesterday, in 2016 10 years had passed since the i-lab business and innovation centre first opened its doors. To celebrate the buildings many achievements, the centre held a BBQ for tenants old and new as well as local dignitaries. 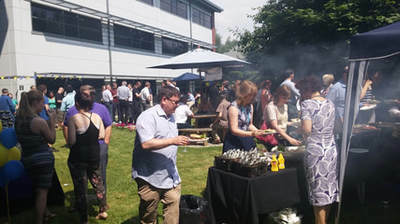 The event was that much of a success, a yearly BBQ now takes place for tenants. 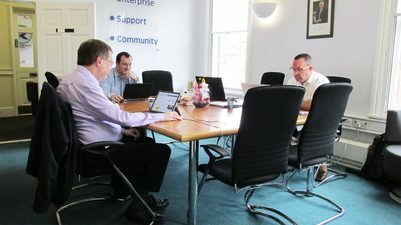 Bedford i-lab Innovation Centre is a Bedford Borough Council operation and acts as Landlord/Counterparty to any Agreements. Bedford Borough Council, Borough Hall, Cauldwell Street, Bedford, MK42 9AP.